Normally when you buy a house, you don’t want a home with any outstanding liens against it (that’s also why you pay for a title company). But what happens to those houses with outstanding taxes? You can buy those, too. Or you can just buy the lien and profit from that. Here’s how it works. What is a tax sale home? There are two types of tax sale homes: tax lien sale homes and tax deed sale homes. Both represent sales of homes with unpaid property taxes. A tax lien sale is when the liens are auctioned off to the highest bidder. The highest bidder now has the right to collect the liens, plus interest, from the homeowner. If the homeowner can’t pay the liens, the new lien owner can foreclose on the property. In a tax deed sale, a property with unpaid taxes is sold in its entirety, at auction. A tax lien sale is a method many states use to force an owner to pay unpaid taxes. It gives homeowners a chance to pay those taxes along with high penalty fees. Twenty-nine states, plus Washington, DC, the Virgin Islands, and Puerto Rico allow tax lien sales. -A property owner neglects to pay his or her taxes. -A waiting period initiates. State laws vary on the waiting time before the tax collectors intervene; it can range from a few months to a few years. -The unpaid taxes are auctioned off at a tax lien sale. -The highest bidder gets the lien against the property. -The tax collector uses the money earned at the tax lien sale to compensate for unpaid back taxes. -The homeowner has to pay back the lien holder, plus interest, or face foreclosure. Homeowners whose properties have undergone a tax lien sale are given a window of time, known as the redemption period, in which to pay their overdue taxes plus interest to the new lien holder. If the homeowner repays back taxes, the lien holder makes money from the amount accrued in interest. Interest rates vary by state. For example, Florida has a maximum interest rate of 18% while Iowa has only 2%, according to the National Tax Lien Association. The rate you get is also dependent on the auction—and it’s usually not the maximum rate. If the redemption period passes and the taxes remain unpaid, the lien holder has the right to foreclose on the property. That’s not an easy task—the lien holder has to file a lawsuit to get the title to the property, which can be an expensive and time-consuming ordeal. The pa off may or may not be worth it, especially if the property is heavily damaged. A tax deed sale is different from a tax lien sale in that it offers complete ownership of a property. In some states, the government will seize homes with unpaid property taxes and then sell the properties at a tax deed sale, which is a public auction. The property at a tax deed sale is usually sold for the amount due in unpaid taxes, plus fees and interest charges. It’s also known as a foreclosure auction. Even though that amount could be relatively low, bidders usually drive up the price during the auction process. Before being transferred to the winning bidder, the property should be cleared of all mortgages and liens against it. 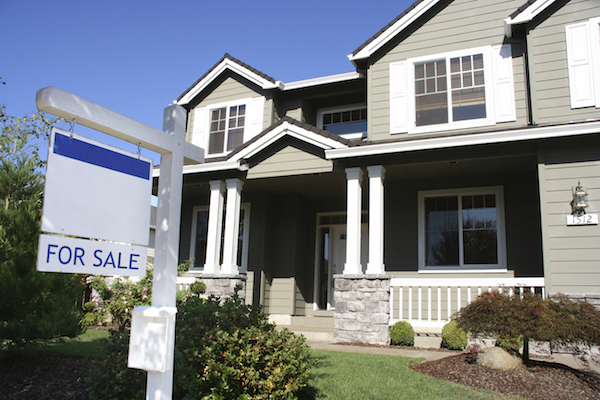 Buying a home at a tax sale is considered risky. In many cases, you can’t even examine the house from the inside and have to guess on its interior condition. That also means no home inspection, so you can get stuck with a house filled with building violations and environmental hazards such as radon. And if you have to foreclose on a tax lien property with the homeowners still there, you have no way of knowing if they’re going to damage the property before they leave.